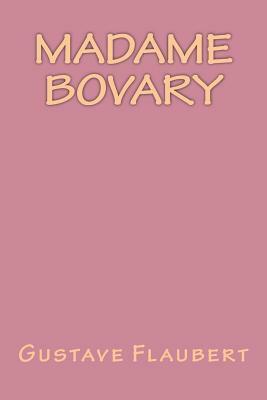 Madame Bovary (1856) is the French writer Gustave Flaubert's debut novel. The story focuses on a doctor's wife, Emma Bovary, who has adulterous affairs and lives beyond her means in order to escape the banalities and emptiness of provincial life. Though the basic plot is rather simple, even archetypal, the novel's true art lies in its details and hidden patterns. Flaubert was a notorious perfectionist and claimed always to be searching for le mot juste ("the precise word"). Gustave Flaubert (12 December 1821 - 8 May 1880) was an influential French novelist who was perhaps the leading exponent of literary realism of his country. Eleanor Marx Aveling (16 January 1855 - 31 March 1898), also known as Jenny Julia Eleanor "Tussy" Marx, was the English-born youngest daughter of Karl Marx. She was herself a socialist activist, who sometimes worked as a literary translator. In March 1898, after discovering that her partner and prominent British Marxist, Edward Aveling, had secretly married a young actress in June the previous year, she committed suicide by poison. She was 43.